Apocalypse today means the end of the world. It is a Greek word that means "lifting of the veil". Many in radio tried to help us to see under that veil. At times the actual veil became terrifyingly thin. In other times we were able to laugh at the veil, seeing it as a kind of Halloween monster which allows us to feel and enjoy our fears. Which is probably better than giving into them. Not all of the stories in this collection come from the Atomic Age, but fear of the bomb makes these tales of the end of times that much more relevant and real. Reality and fiction wrapped around each other with what was a terrifying effect on the listening public on the night before Halloween in 1938. That was the night that the Mercury Theatre broadcast Orson Welles' version of H.G. Wells' The War of the Worlds. The story as originally written was a classic of early science fiction which took place in the English Countryside of the previous century. Welles told his story in the form of a mock news report with events transiring in New Jersey. But any listeners didn't realize that it was just a story, resulting in wide spread panic. Horror did soon grip the world when it was plunged into the Second World War. Even before the war began, the fear set in. Just three nights before Orson Welles' broadcast, the Columbia Workshop fictionalized the coming terror of mechanized warfare with "Air Raid". Arch Oboler used his pulpit of frightening Light's Out program to dramatize theses terrors for a wartime audience. "The Projective Mr. Drogen" teaches what can happen when a little man gains the power to enslave and murder others, and "Oxychloride X" is a terrifying tale of the mysterious destructive powers that science could some day unleash on the world. A chemical is released that eats through anything, even the earth itself. The War did bring a man-made terror, the fear of which would hound the world from then on, the atomic bomb. 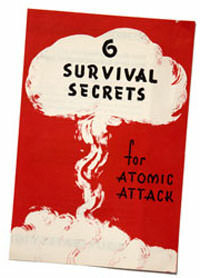 The Fifth Horseman was a short series produced in 1946 which dramatized the horrors of atomic warfare. 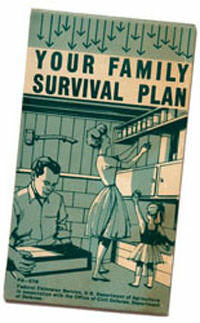 The purpose of the program was pure propaganda. The producers felt that the consequences of atomic weapons were so great that control of the weapons should be turned over to the United Nations. But the show aired before it was generally known that the Soviet Union was producing a bomb of their own. As terrible as the atomic bomb was, the thought of our one time allies but now competitors in world leadership, the Soviet Union, launched what would become known as the Second Red Scare. While fears of the Russian Bomb were more or less appropriate, some of the reaction was far over blown. One reaction was the abuses of power by Senator Joseph McCarthy. McCarthy became the public face of Cold War tensions over communist subversion. 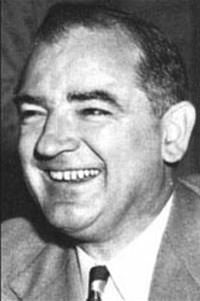 The term McCarthyism has expanded beyond the search for communists to include any attack on Patriotism that is founded on unsubstantiated accusations. Senator McCarthy is featured in a part of our Apocalypse Collection entitled "The Real Thing". As reckless and dangerous as the Senator and his actions were, they are contrasted with cooler heads, which is demonstrated in President Eisenhower's address to the United Nations General Assembly in Dec 1953. This address became known as Eisenhower's "Atoms for Peace" speech. Perhaps driven by the scientific advances that led to the atomic age and the space race, Science Fiction entered a Golden age during the late 1940s through the 1950s. Thrilling Space Operas and Alien Invasion stories were the most popular of these stories. 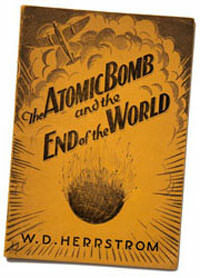 End of the world stories, sometimes in the form of a sort of morality tale, were also favored by writers and producers. The 1949 novel, Earth Abides by George Stewart was adapted as a two part episode of Escape! starring John Dehner. The post apocalyptic story takes place after all but a few dozen people in North America are killed by a strange virus. The protagonist, Isherwood Williams, must first come to terms with the fact that the world he had known, and all the people in it, are gone. Yet it is a story of hope, as Ish Williams and his new family build a new society. Much more chilling is the Ray Bradbury story "Zero Hour", in which the children throughout the country begin playing a new game called Invasion. The game is directed by mysterious voices that only the children can hear, and we learn that the game is really preparation for an alien invasion! Dimension Xand X Minus One were great examples of the science fiction genre, basing their scripts on short stories from the pages of the great science fiction magazines, including "Galaxy" and "Astounding Science Fiction". This gave the producers access to the works of the giants of Science Fiction, Asimov, Arthur C. Clarke, Frederick Pohl, Robert Heinlein, and many others. In the episode "The Knock" we are given the strange intro: "The last man in the world sat in a room. There was a knock on the door." In "Time and Time Again" a soldier fighting in a future war is hit by a bomb which sends him back to his childhood with all of his knowledge, can he change things to prevent the terrible war from starting? In "The Defenders" there is also a terrible war going on, but the citizens have taken refuge underground, allowing their super intelligent robots on the surface to prosecute the war. Any science fiction fan knows what happens if you allow super intelligent robots too much free reign. Time Travel is a theme of "Target One". 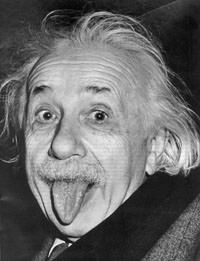 In this story agents are sent back from a post apocalyptic future to kill Albert Einstein before he can discover the Theory of Relativity which leads to the atomic bomb and the war which destroys the world. They are successful, but the world they come back to is not what they expect. Interestingly, the story not so much demonstrates the futility of nuclear war, but the futility of Time Travel. The Soviets chose to place the medium range missiles on an island only 90 miles off the coast of the US in response to the deployment of American Missiles in Turkey. The Soviets believed that the Kennedy Administration would "make a fuss, then agree" to the presence of missiles in Cuba. They saw Kennedy's soft response to the Berlin Wall and the failure of the Bay of Pigs operation as signs that Kennedy was a weak leader. After considering several military options, the US set up a "quarantine" of the island, announcing that the delivery of offensive weapons to Cuba would not be allowed, and demanding that the facilities already under construction be dismantled. Popular mythology holds that Khrushchev and Kennedy "stood eyeball to eyeball, Khrushchev blinked." In actuality protracted "back channel" negotiations took place, largely through the cooperation of UN Secretary General U Thant. The US secretly agreed to remove their missiles from Turkey. 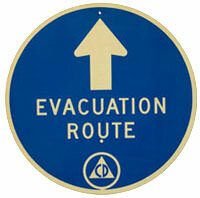 However there was no point during the crisis that military escalation wasn't considered likely, even inevitable. The crisis marks the first time that Mutually Assured Destruction (MAD) entered the discussion of a major international arms agreement. MAD is probably the single most frightening aspect of the nuclear arms race. Since the fall of the Soviet Union it isn't much talked about these days, but the danger still exists. Especially as nuclear capability proliferates to more nations which may not always be in agreement with US policies and values. So is the world about to end? I don't think so, but keep in mind that Oct 2012 was the fiftieth anniversary of the Cuban Missile crisis and the year marking the end of the Mayan "Long Calendar". Will the veil be lifted at that time? Rather than worrying, I think our time will be better spent with a cup of hot chocolate and enjoying some good radio programs. Be the first to comment on "Apocalypse (End of the World)"